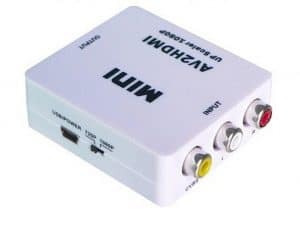 So, what happens when a person wants to play a movie from an analog device featuring RCA technology via an HDMI unit such as TV? With the two technologies running different voltages and signals, this is certainly impossible. Well not with an RCA to HDMI converter. 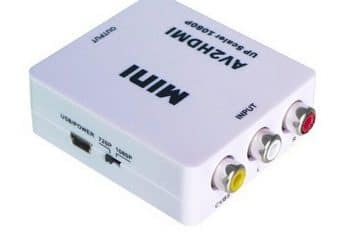 This box takes in the RCA signaling and converts it into HDMI signaling allowing you to still use earlier gadgets without upgrading your player, camcorder, or gaming console. This AV to HDMI converter connects to television sets, PCs, game consoles (PS3, Xbox), Setup boxes (STB), VHS VCR, Projectors, Blue-Ray players, camcorders, and DVD players among others. 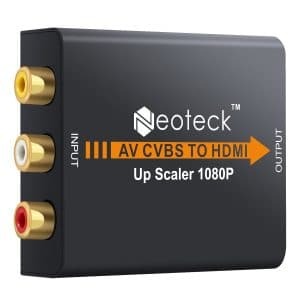 It is compatible with the standard TV formats including Pal, SECAM, NTSC and the image resolution is as high as 1080p. The plug and Play unit doesn’t need special skills or tools and will work instantly.